Dave Draper © 1983 - The Barry Joel Gallery Project, Part Three. A black and white, pen and ink rendering of All Saints Church in Sanderstead. 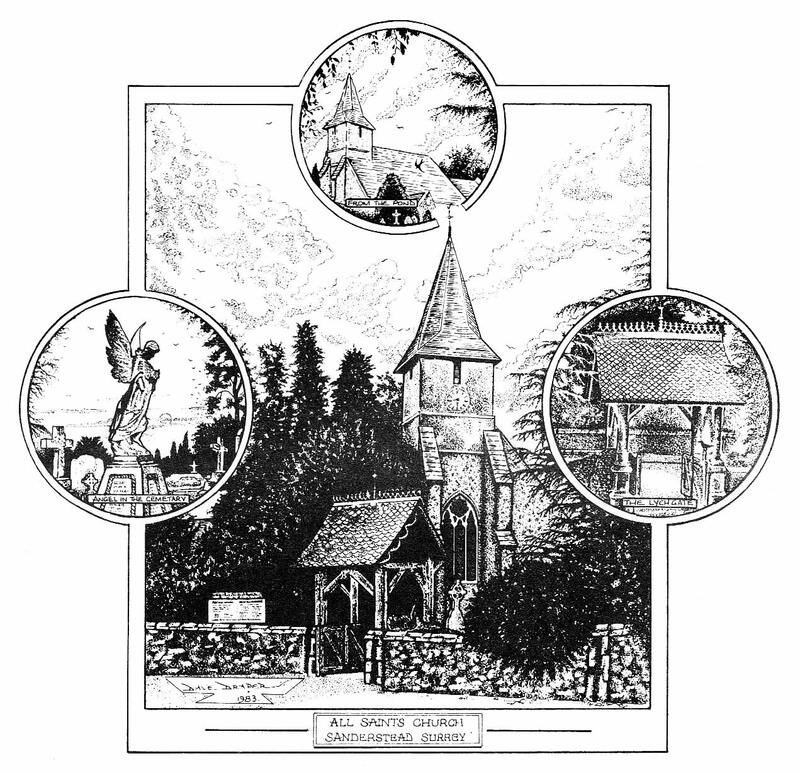 Complete with insets featuring the Lychgate, a view from the ponds at the crossroads of Church Way, Sanderstead Hill, Addington Road, Rectory Park and Onslow Gardens, and also depicting an Angel watching over the Cemetery. Somewhere amongst all this you may spy a curious looking blackbird and a nutty little squirrel. This is Part Three of my Project for the Barry Joel Gallery, comprising a series of three Pen and Ink drawings that were made into Cards and Prints. So far I have only the original black and white version, but that could change.